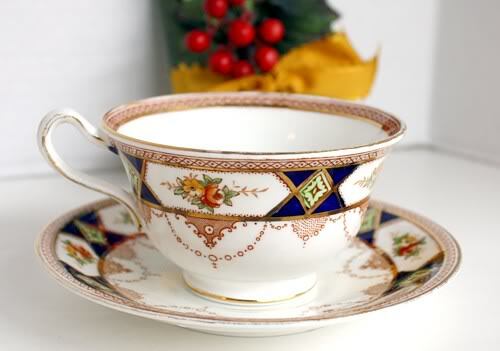 Beautiful Antique Bone China Teacup made by Sampson Bridgwood and Son. The firm was established in Longton, Staffordshire, England, in 1805. The pottery made earthenware and porcelain. Bridgwood began operating Anchor Pottery in Longton in 1853. 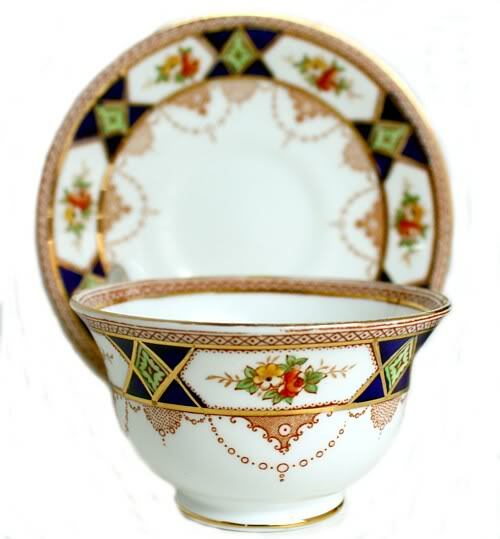 This cup has the prettiest colors of Blue, Yellow, Orange, Brown, all on the pure White ground, and with hand painted gilding...just gorgeous! Lovely shape, this is the perfect cup for a bracing cup of Earl Grey. Wonderful condition, slight wear on the gilded rim, and a tiny "miss" in the transfer as shown below, not unusual in early cups. A treasure for you, or to give with love to someone you adore.